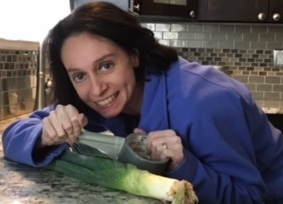 ©Cecilia Kennedy and Fixin’ Leaks and Leeks, [2017-2018]. Unauthorized use and/or duplication of this material (text, photos, audio, and video) without express and written permission from this site’s author and/or owner is strictly prohibited. You may reblog or share, as long as credit is given to the author. Excerpts and links to this site’s blog posts may be used, provided that full and clear credit is given to Cecilia Kennedy and Fixin’ Leaks and Leeks with appropriate and specific direction to the original content. Links embedded in the text to videos and sites beyond this blog site may have their own separate copyright laws. Amazing. You gradually becoming a model. I have a BA in African and African American literature but prefer writing on real life events just like you do with your blog.